Are You Tired Of Shooting Stationary At Paper Targets? Experience The Thrill Of Rapid Fire, Shooting From Concealment, Shooting From A Kneeling Position, And Enjoy The Rewarding "Pling" Sound From Striking Steel Targets With Miami Shooters Club! Our instructors are certified by the National Rifle Association (NRA), have years of experience in advanced personal protection, and have perfect safety records. Our instructors possess a variety of skill sets ranging from concealed carry strategies to close quarter battle. They are patient and enthusiastic and are looking forward to training you! Most shooting range abide by strict rules that prohibit a student from being able to realistically learn how to shoot. For instance, most ranges do not allow you to draw your firearm and fire – or fire two shots in succession without a big pause in between shots. At our private range, we’re able to practice rapid fire, firing from cover, firing while moving, and much more. Q.Do I need experience to shoot with Miami Shooters Club? A.No! Most of our shooters fired their first gun with us. Although we do have advanced shooters that participate, the majority of our members are newbies. Q.Do you have women that participate? A.Yes! We have a lot of women that shoot with our club – and one of our NRA certified instructors, Vicky Fernandez, is a woman. Q.Can my kids shoot with Miami Shooters Club? A.We allow kids of 14 years and up to shoot, as long as their legal guardian is shooting with them as well. We have some teenagers that are excellent shooters! Q.What kind of guns am I allowed to shoot? A.You can shoot any type of firearm that you are legally allowed to own. You can also fire any type of ammunition. We shoot rifles, pistols, and even automatic weapons. Q.I don't own a gun - do you rent guns? A.Yes, we have pistols and rifles you can use. Q.Why don't traditional ranges let you shoot rapid fire or from a kneeling position? A.They do not have the instructors on the floor to supervise everyone. 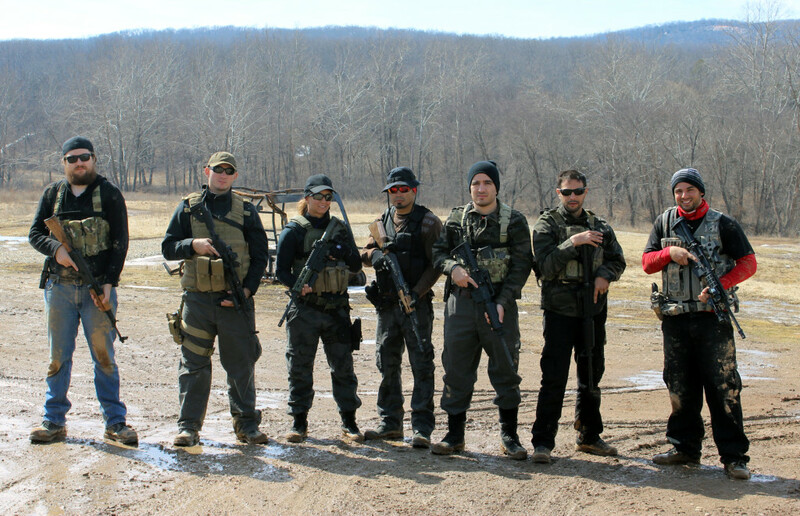 We run smaller groups and have a big team of NRA certified instructors, which allows us to maintain an average of 3 students per instructor ratio. 1) Having a private one-on-one instructor during a normal group outing. Q.Do you offer weekly instructional classes? A.Yes, we offer weekly training courses – such as the NRA Basic Pistol, NRA Basic Protection Inside the Home, NRA Basic Protection Outside the Home, and other advanced courses. We have one hour courses and longer three hour workshops – contact us for more details. Q.Do you offer the Concealed Weapons Permit Training requirement? A.Yes we do! 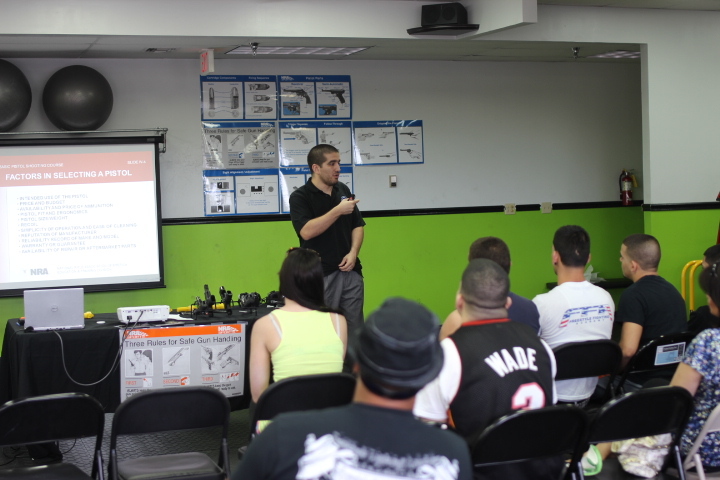 We offer a group course for the Concealed Weapons Permit training requirement – but we also offer this course privately at our facility or at your home or office. Contact us for more details.